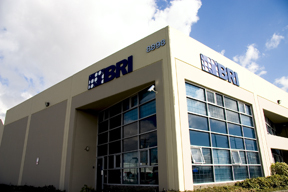 BRI provides specialized and integrated preclinical drug development contract research services for worldwide regulatory submissions. BRI Biopharmaceutical Research Inc. is a specialized analytical, bioanalytical and DM/PK contract research organization (CRO) servicing pharmaceutical and biotechnology companies in discovery, preclinical and clinical programs supporting IND and NDA-enabling studies. ©2017 BRI Biopharmaceutical Research Inc. All rights reserved.